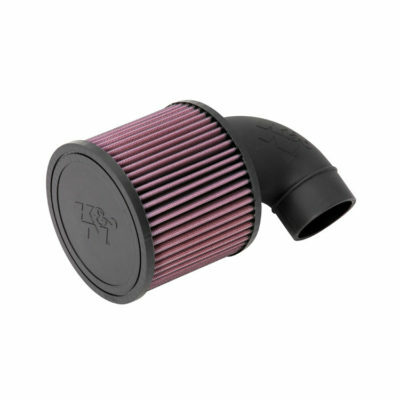 The K&N UTV Replacement Air Filter CM-8009 utilizes an adapter or tube that mounts directly to the air box. The universal clamp-on air filter then attaches to the adapter or tube. Also, the large mounting surface of the clamp-on air filter provides better stability during rigorous riding. Furthermore, the assembly adapter or tube acts as a velocity stack within the air box. K&N Custom Finally, these filter kits, like all K&N air filters, are designed to provide excellent filtration and outstanding air flow. Washable and reusable, of course!